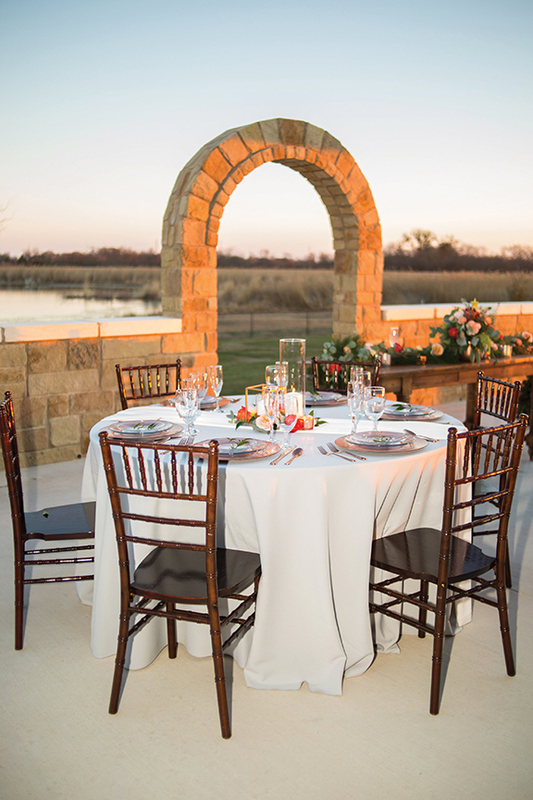 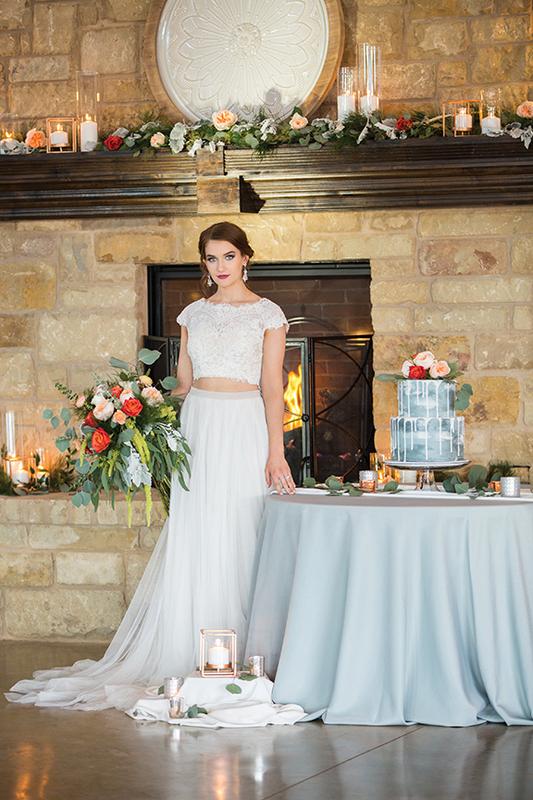 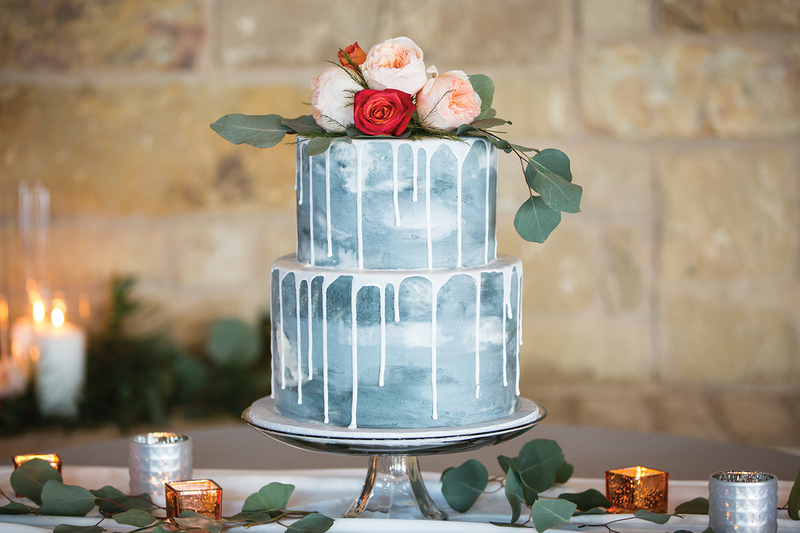 Sparkling water and open skies created a romantic backdrop for our Pond Perfect styled shoot at the Venue at Lilly Pond in Temple, TX. 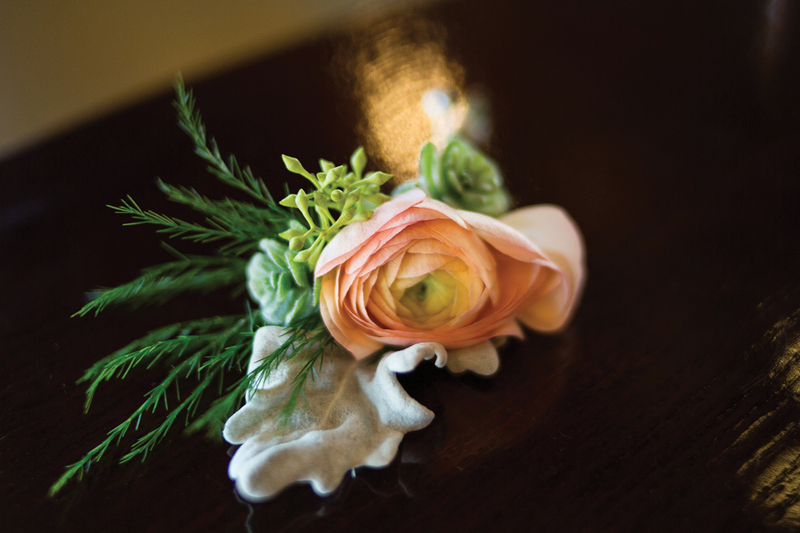 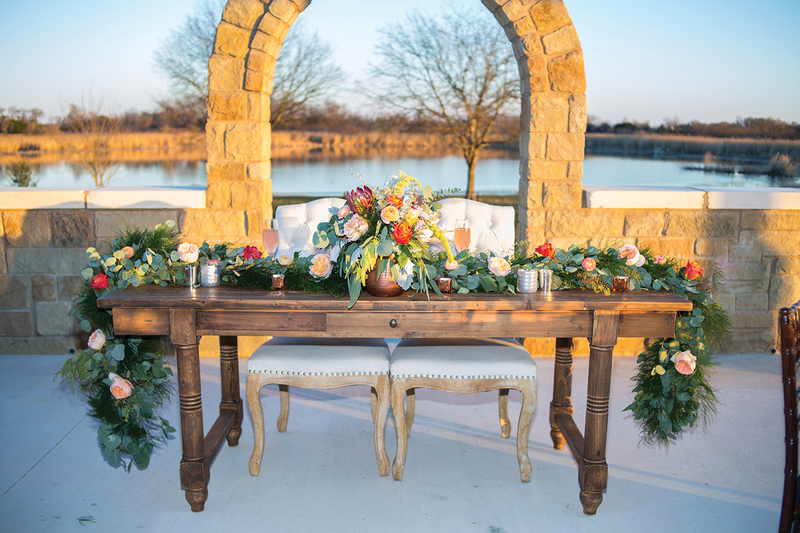 Delicate David Austin roses in hues of peach created a dreamy spring vibe inside the venue near the ornate fireplace, and outside against the view of the venue’s lush grounds and stone archway. 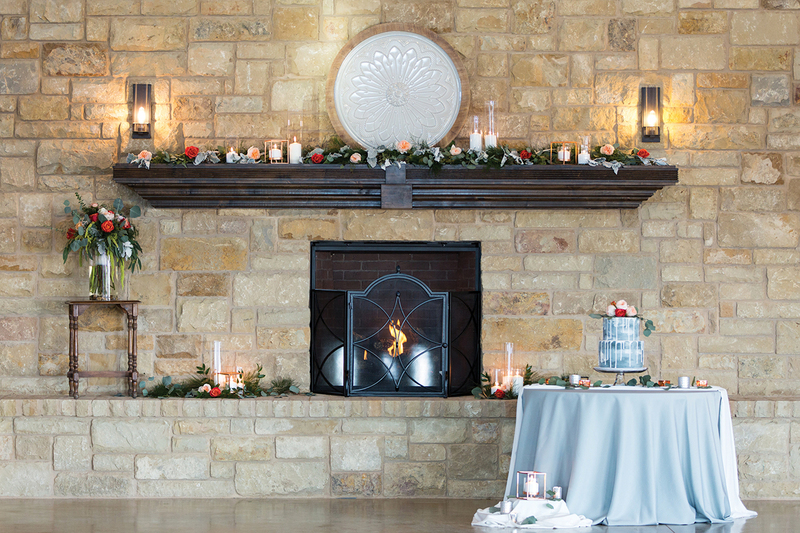 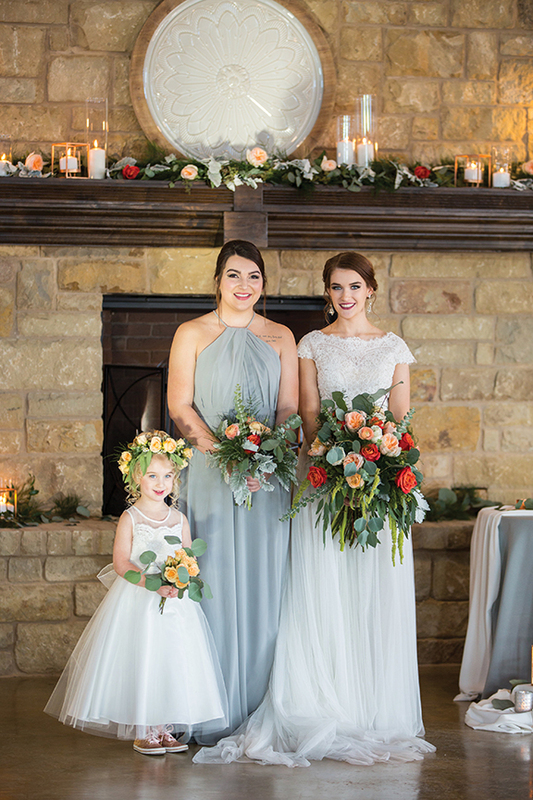 The sunset colored flowers adorned the fireplace’s wooden mantle, brightened up the muted tones of the wedding cake and circled the flower girl’s floral crown. 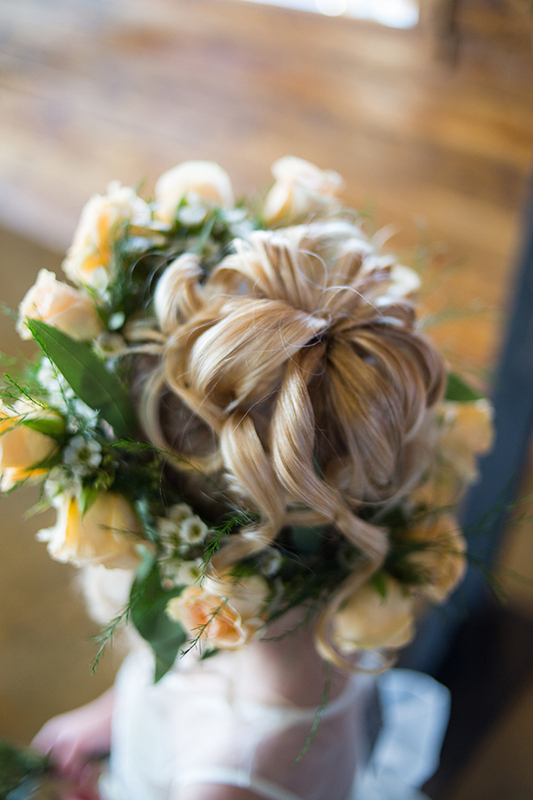 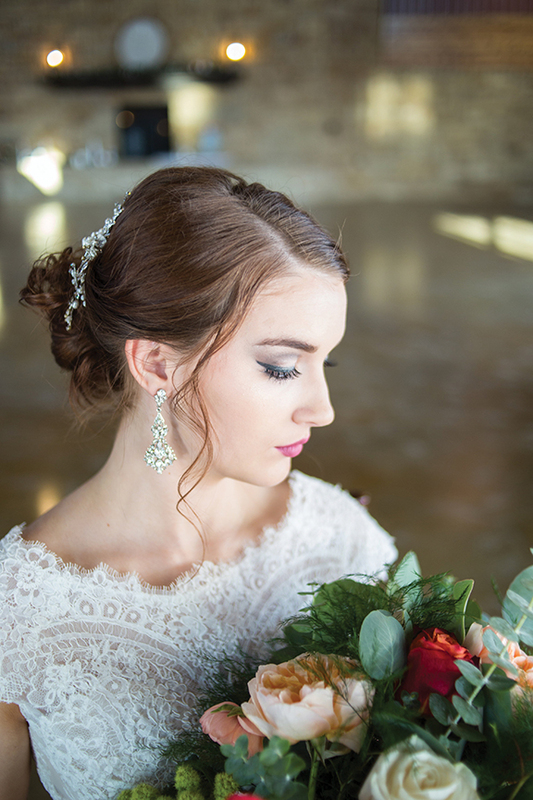 The bride, with her hair swept into an elegant up-do, looked as if she might float above the crystal pond in her lace, cap sleeve top and full, tulle skirt. 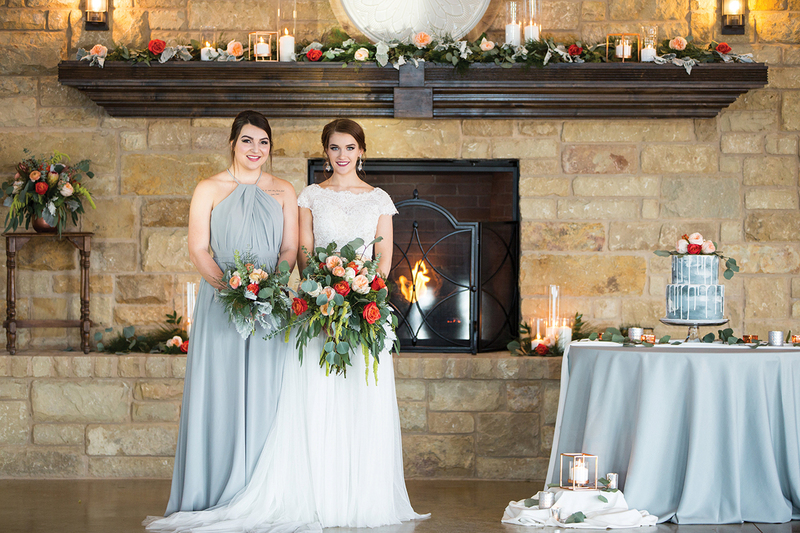 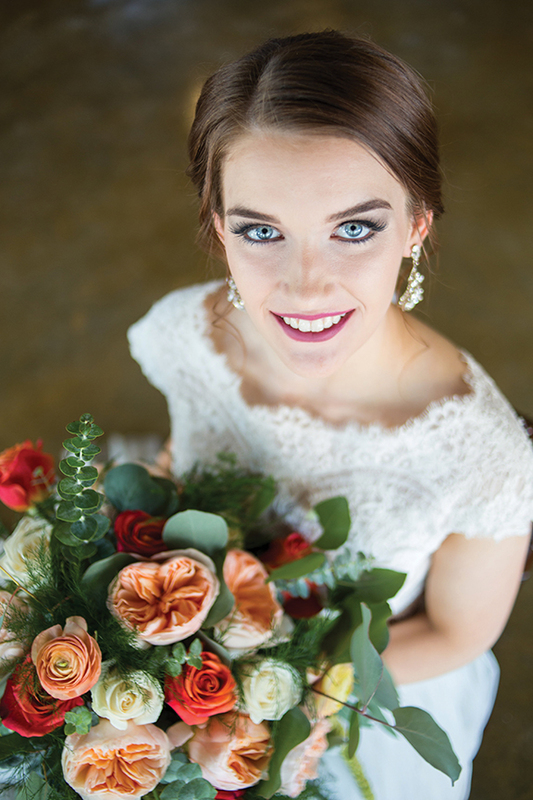 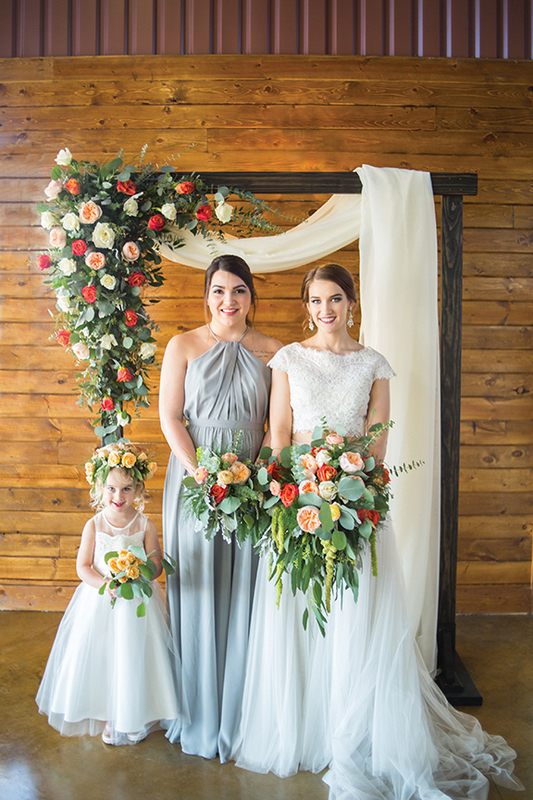 Her bridesmaid, dressed in a gray halter dress, complimented the bride’s style and the bouquet’s dusty miller sprigs. 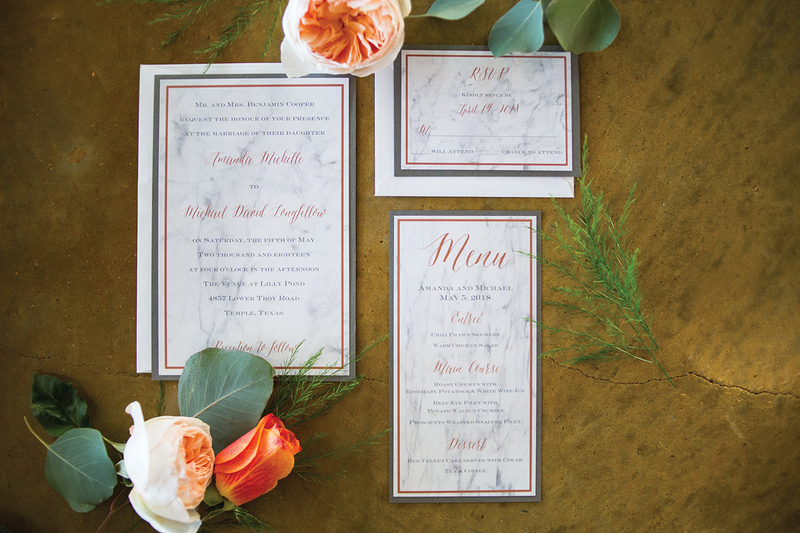 The soft, gray color was also present in the reception linens and in the marbled invitations. 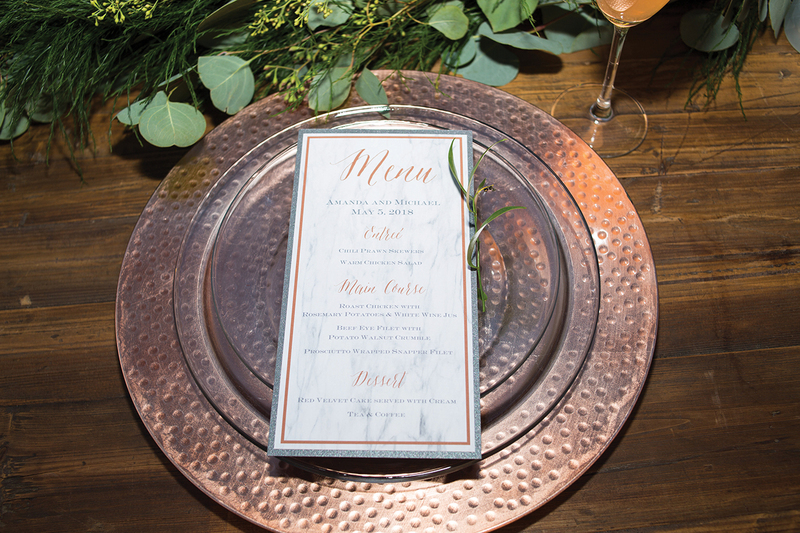 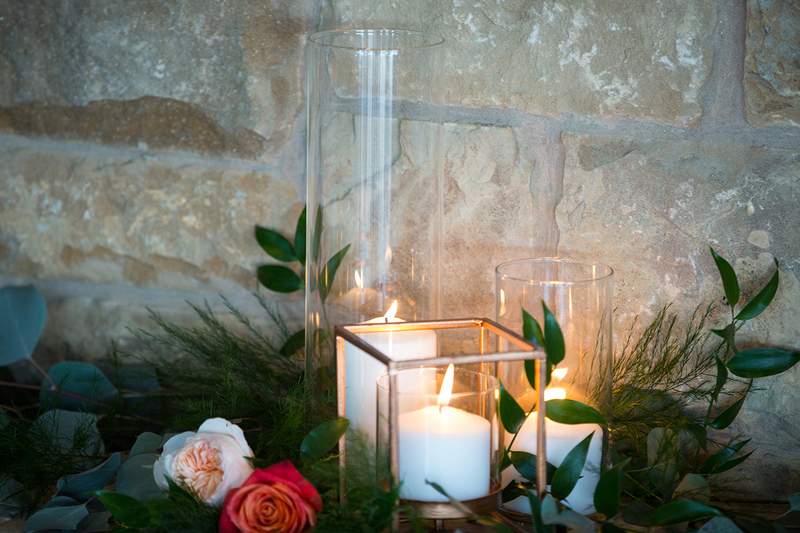 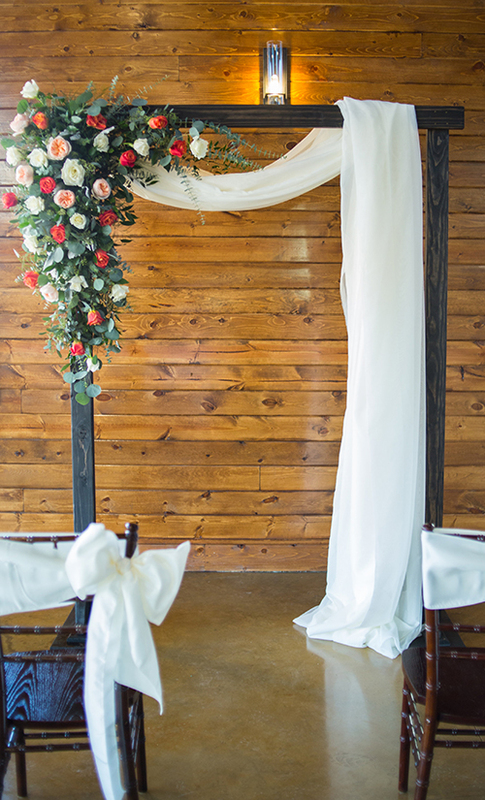 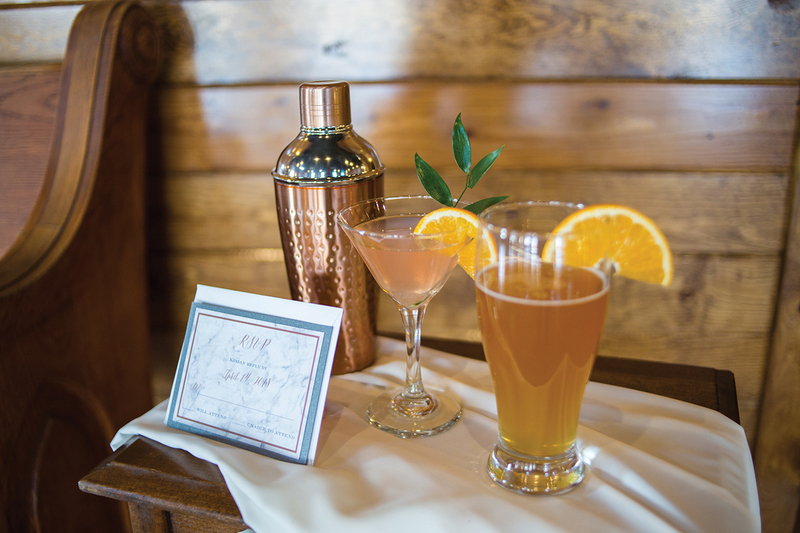 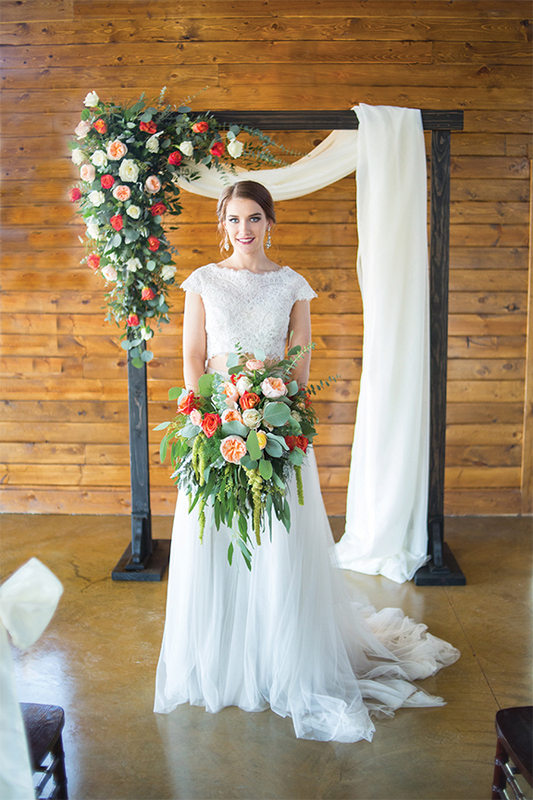 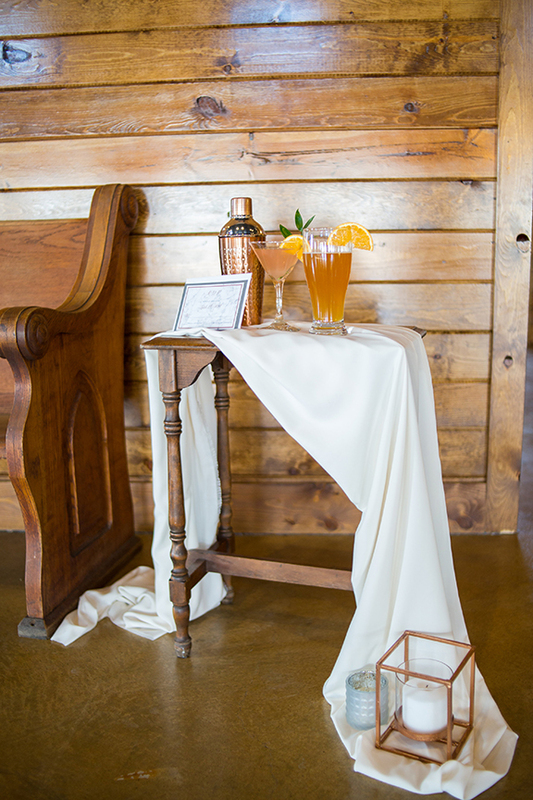 The refreshing design was completed with touches of copper and a fabric-draped arbor.